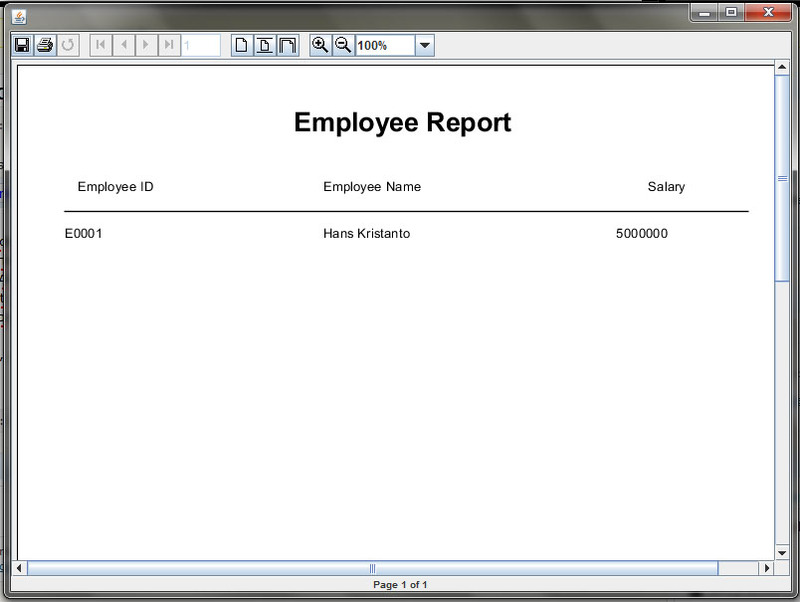 In previous article, you’ve learnt how to build your first application using JasperReport. you see that the query fetch all record. We, somehow, never need all records but only several records. In SQL, we can use WHERE clause to add conditional for fetching records. We can do this too with JasperReport. Note : You can dynamically add value to your parameter variable. Copy your .jasper file into your project. Replace it if it’s already exist. bikin tutorial buat chart dll jg dunk gan!